Dropped ceiling, after installation. Light fixtures, a speaker grill, smoke detectors, and an air grill are all visible. 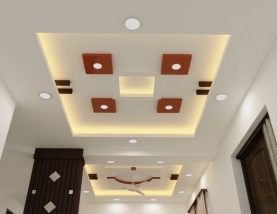 A false ceiling is a secondary ceiling, hung below the main (structural) ceiling. 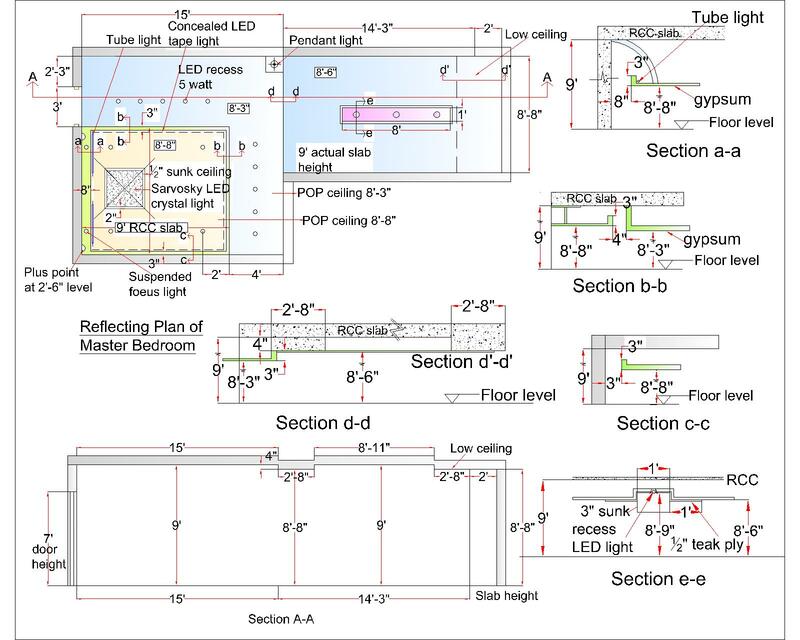 It may also be referred to as a drop ceiling, T-bar ceiling, false ceiling, suspended ceiling, dropped ceiling, drop in ceiling, drop out ceiling, or ceiling tiles and is a staple of modern construction and architecture in both residential and commercial applications. Dropped ceilings and ceiling tiles were being used in Japan for aesthetic reasons as early as the Muromachi Period (1337 to 1573). Blackfriars Theater in London, England, built in 1596, had dropped ceilings to aid acoustics. 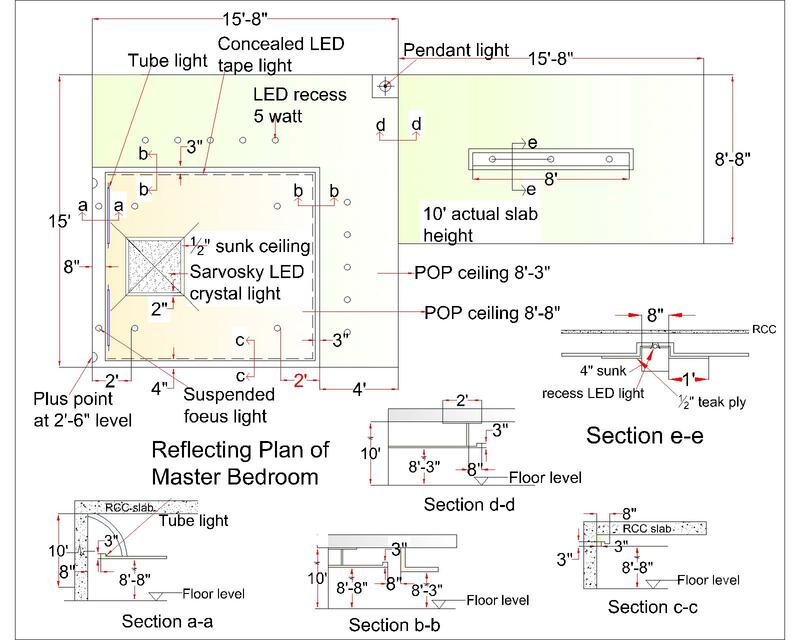 This ceiling here is designed to be fit for a bedroom, which will make the room attractive and beutiful. This design here can be used as a refernce for making your own design.